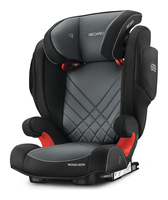 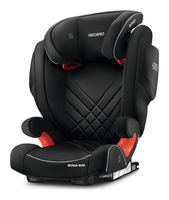 The successor of the Recaro Monza Nova Seatfix excells with the well known details such as Isofix connectors, ventilated side impact protection, ventilated foam also used in the automotive industry for comfortable seating, 11-times adjustable headrest which is also continuously adjustable in its depths. 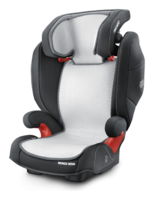 This ensures that the head of the sleeping child does not leave the protection of the car seat. 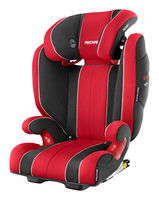 Its improvements are the revised side impact pads which can now absorb even more energy. The sensitive head, shoulders and hips of the child are now even better protected. This car seat is ISOFIX capable.